The world-wide religious belief of a pending apocalyptic scenario that orchestrates an end of the world as we know it, and the publicity surrounding the ancient carved Mayan calendar that stops abruptly on December 21, 2012, appears to have stirred much interest in the possibility that some major event was about to happen; if not on that date, sometime very soon afterward. 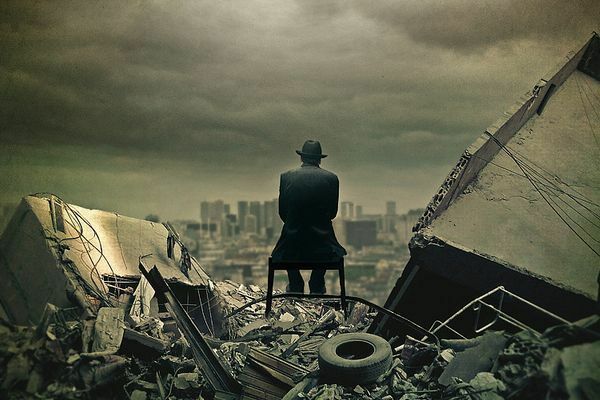 The apocalyptic and world-ending themes have consequently been popping up in our nightly television programming as well as the film industry in recent years. And the theories have ranged from a major asteroid strike to a breakout of a global nuclear war highlighted by the sudden appearance of a messiah in the sky or more often, a Satanic "beast" appearing on Earth. Of course the survivalists are getting in on the act. A specialized industry has emerged to provide a wide range of survival equipment, freeze-dried foods, guns, knives, and lots of books and videos filled with advice on how to make it on your own in a looming Mad Max world. That is, of course, in the event that the messiah fails to show in time to save the day. And yes, lots of television programming also follows the survivalist theme. In fact there is a reality show with that title where contestants pit their skills against almost impossible odds in remote parts of the world just to stay alive. They do this while the cameras are constantly rolling, watching their every move. How insane is that? We have personally met members of survivalist groups who are secretly storing great amounts of food and survival gear, packing arms and bullets, and getting prepared. But for what? That caches of guns and bullets are being stored by these groups is making the federal authorities concerned. They are on the alert for local terrorist cells these days and it is easy to get labeled as a potential terrorist if you are a member of an armed and secret organization waiting for disaster to strike. That former President George W. Bush and his staff organized the new Office of Homeland Security following the 9-11 attack, and that this agency is assigned to respond to major disasters like Hurricanes, floods, and other man-made or natural horrors that leave dead and dying humans in their wake, adds to the uneasy feeling folks are sharing. It has not helped that FEMA, or the Emergency Management Agency, seems to be storing large quantities of food, medical supplies, plastic coffins, temporary housing units and other gear designed for cleaning up after disasters and bringing comfort to survivors. The fact that Congress considered a bill that would order FEMA to began "mass fatality planning" in the event of a major disaster only serves to increase the level of paranoia. "Does the government know something we don't know?" bloggers are asking. Let's face it, nothing happened on December 21. But the world remains in such turmoil these days that the mere thoughts by billions of humans all over the world that something terrible is about to come down on our heads still prevails. Mr. Sprat is quite right about the flood of films and television stories feeding on this myth. It seems that the entertainment industry knows what draws business.